It has been unbearably cold in Kansas City these last few days, and finally I feel like we are back in the post-holiday groove. We are back to a regular work and social life, with quite a few wedding planning details thrown in there. 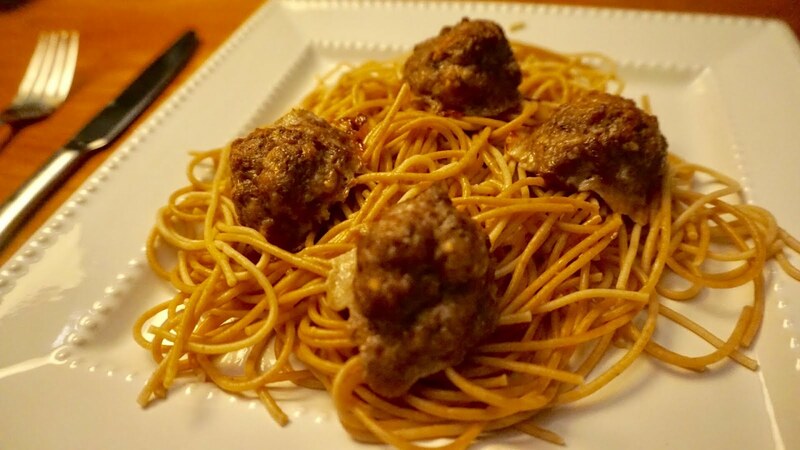 With it being so cold the last few days, I wanted to pick out something from one of Ina's cozier options, which is why I went right to meatballs! It's not secret that Max and I are pasta lovers, but nothing is better to go with pasta than a meatball. 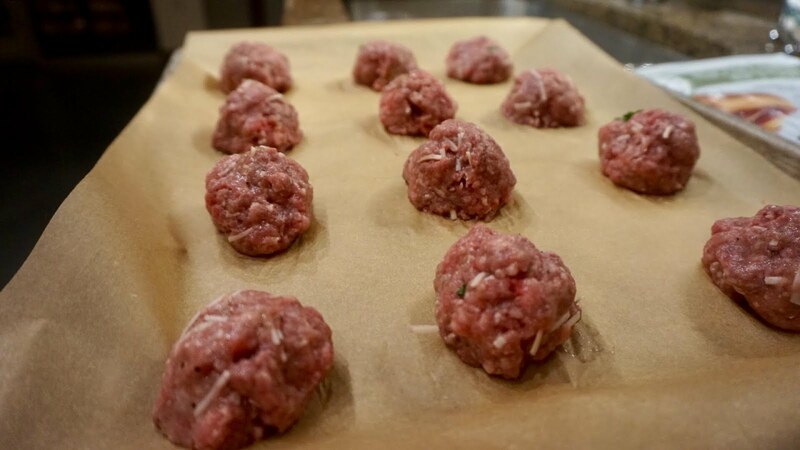 Ina's meatballs were delicious and surprisingly pretty easy to make. I had to make a few substitutions being that my local grocery store was out of a couple of things, but what it basically came down to was a delicious meatball made with ground beef, pork, lamb and lots of cheese! They were cooked in the oven which made for a much easier clean-up than the traditional pan-fried option. 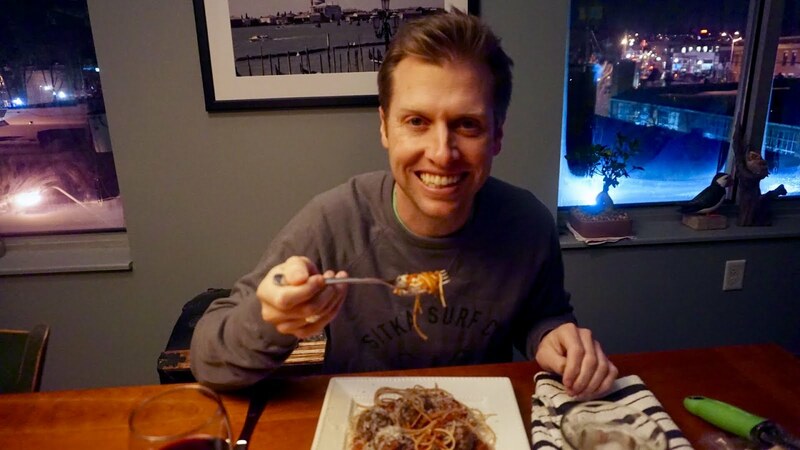 I served the meatballs over a bed of whole grain spaghetti. 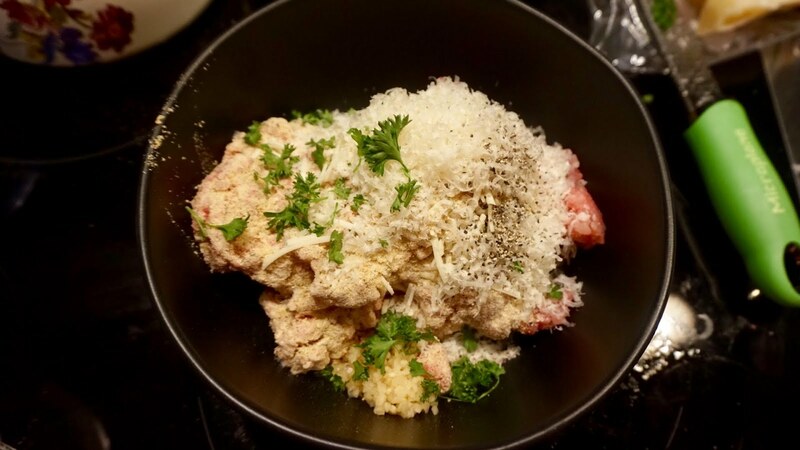 Max used some of our favorite Cascone's red sauce, while I opted for my pasta and meatballs simply topped with some grated parmesan cheese. It was basically one of the easiest "cozy" meals I have ever created and writing this post makes me crave them yet again! 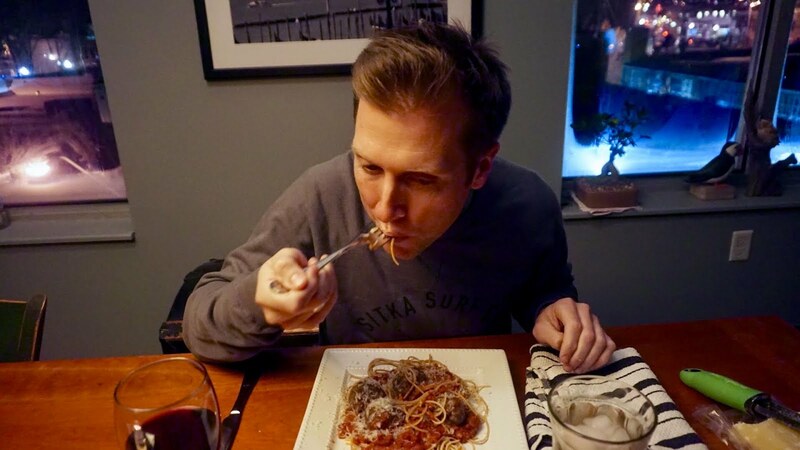 Max's thoughts on the meal:"Loved the meatballs! The variations of flavors were great and the meal was delicious for a very cold night. They were very well done." 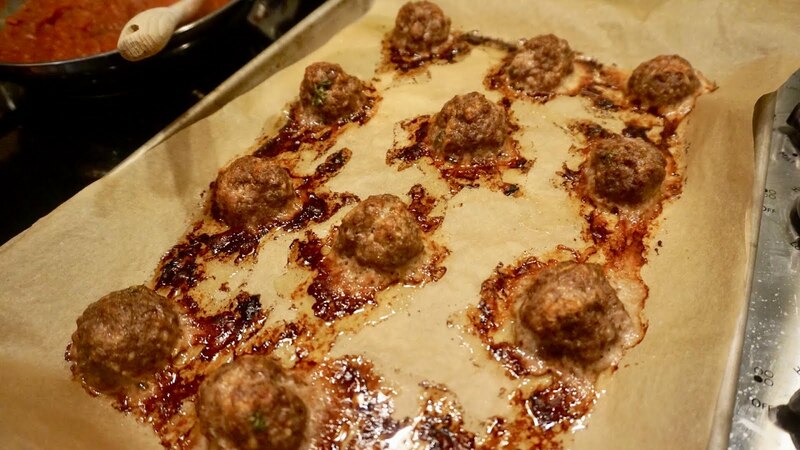 Very similar meatball recipe found here!